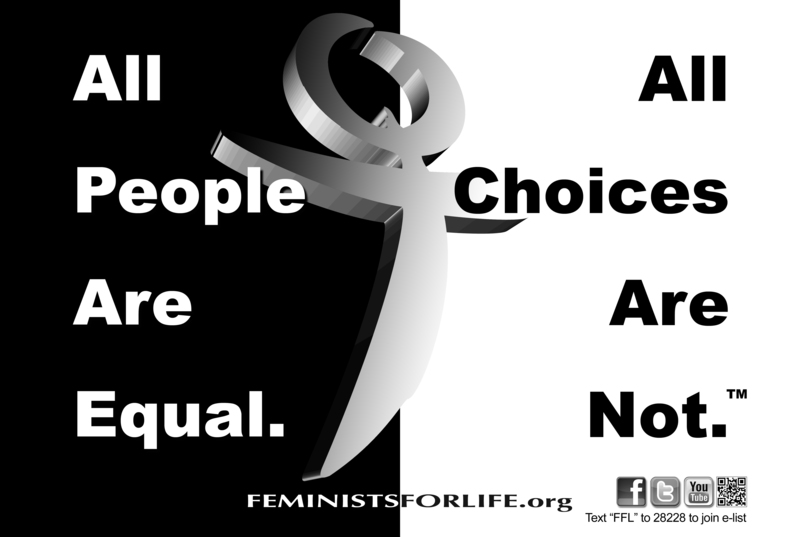 FFL thought-provoking posters Set of (8) black and white 25” x 38” posters great for posting in your community. FFL fliers answer many challenging questions. Camera-ready art may be reproduced in your pro-life newsletters. 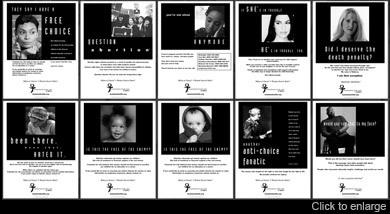 Set of (10) black and white 8.5” x 11” fliers. 12×18″. 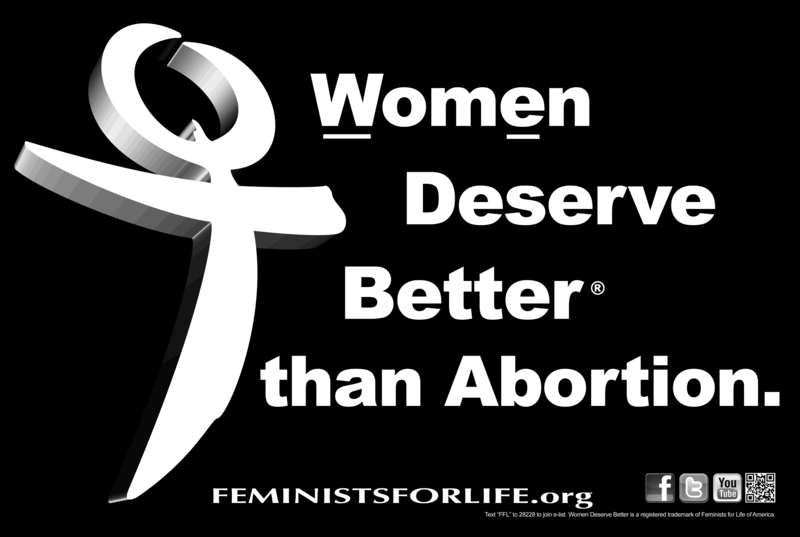 On one side: “Women Deserve Better than Abortion” – on the other side: “All People Are Equal All Choices Are Not”. 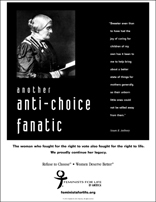 Susan B. Anthony “anti-choice fanatic” ad will draw the reader in with a sense of humor. Download this for FREE (6MB PDF file) and post it on campus, around your community, and in publications! Click here to download these and other FFL College Outreach ads for free!